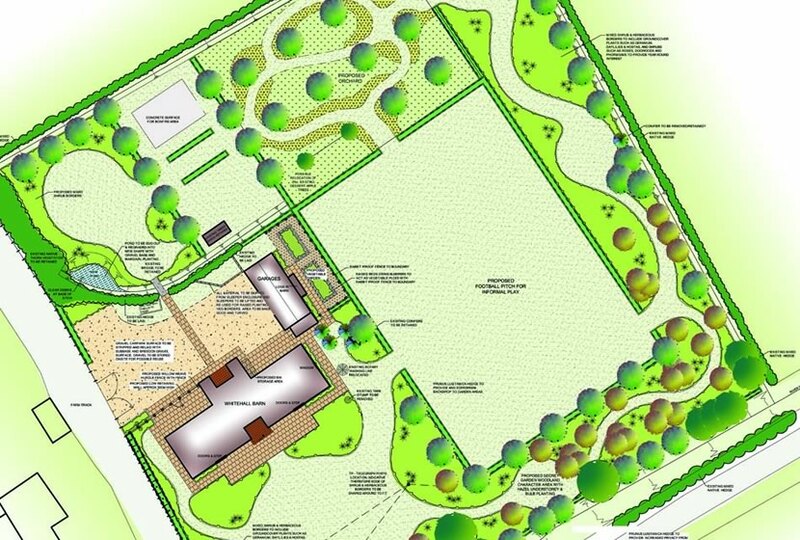 ELD produced the landscape proposals for this high specification garden design associated with a large barn conversion, set in 5 acres of existing lawn. The redesign included a resurfaced parking area adjacent to a small terrace, that in turn wraped around the house providing easy access for maintenance. The terrace and paths were laid to natural sandstone in a combination of pink and cream tones. 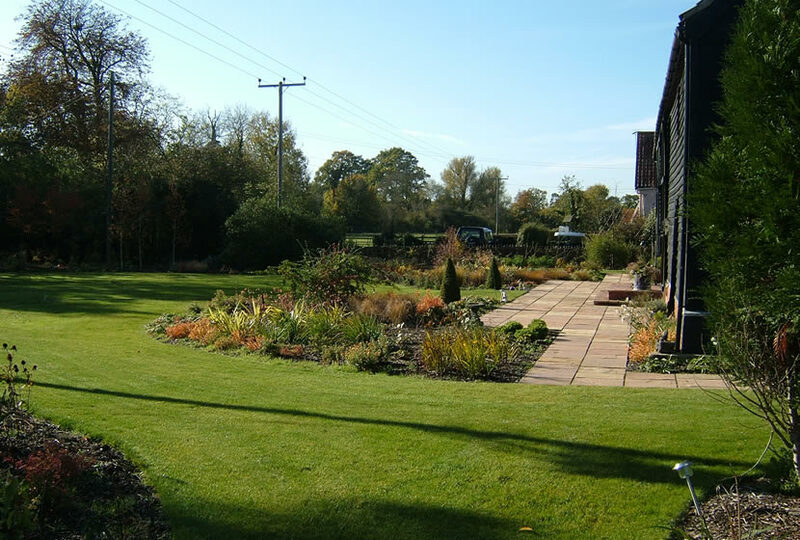 The space around the barn leads into a series of different garden character zones. 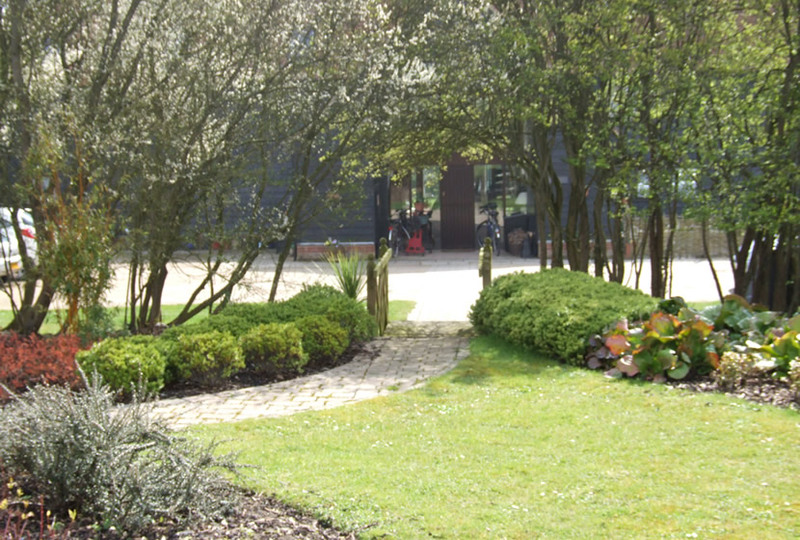 The main garden area to the south of the building has a more formal circular lawn, surrounded by large shrub and herbaceous borders that become more woodland like in character as they merge with the boundary stream. Pleached trees provide privacy to neighboring properties along the boundary. Each garden area is varied in size and scale and includes with a secret garden around the outer boundary, interspersed with small woodland and shrub glades, that in turn lead to an orchard with mown paths passing through a wildflower meadow underplanted with spring bulbs. All these garden spaces wrap around a rectangular lawn, designed for a variety of ball sports such as football and cricket for the children.